I love a food residency at a pub. 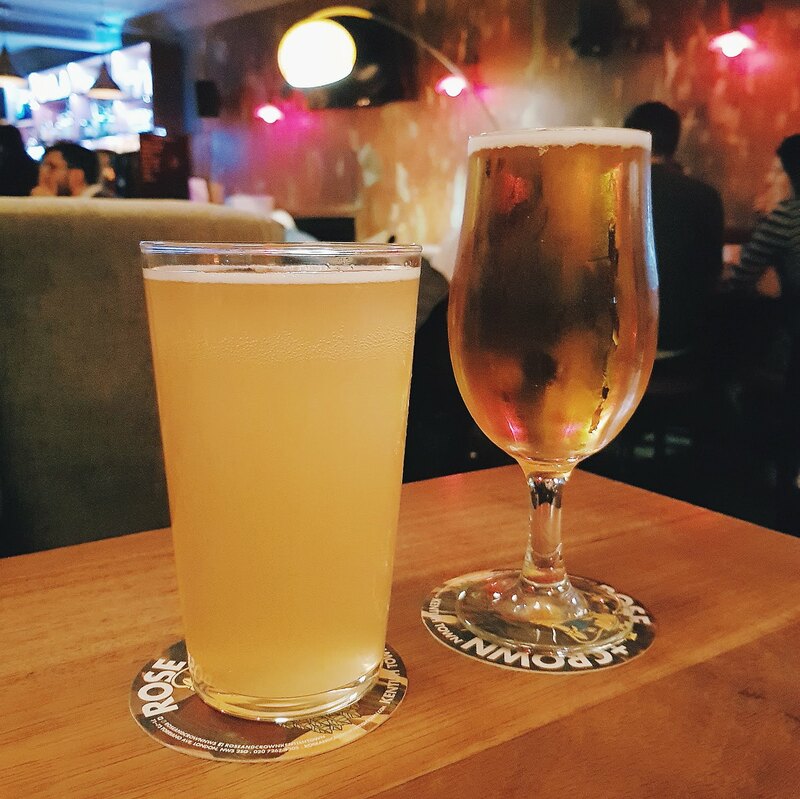 There’s something about the chilled, yet buzzy atmosphere of a pub or bar. 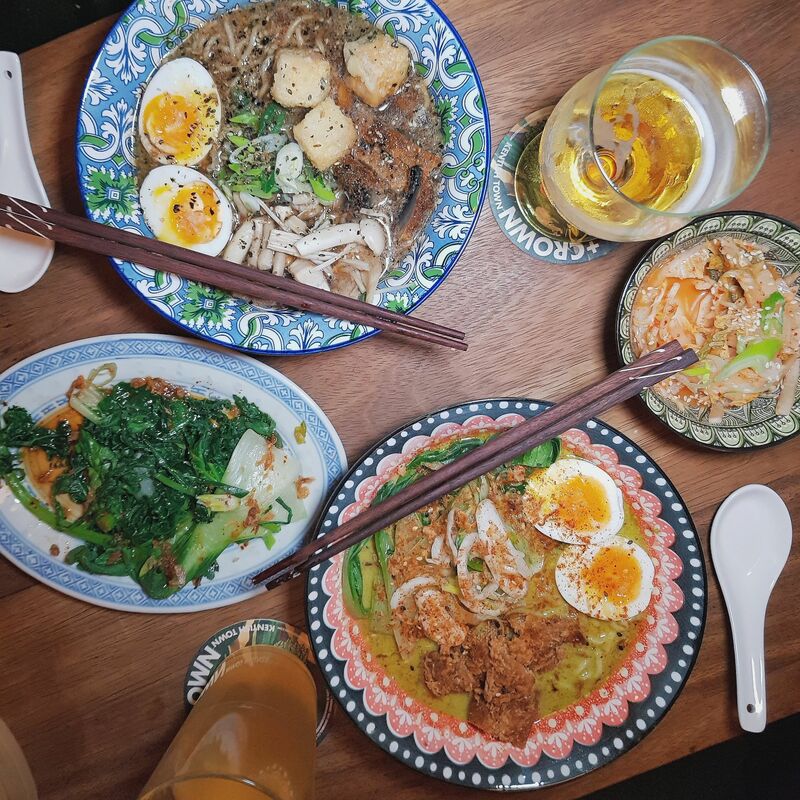 Being able to order some tasty street food to enjoy alongside a good pint or glass of vino. I feel as though there’s less pressure to order quickly, or turn tables round in a speedy fashion. Which is just what you need some nights after a long day in the office. 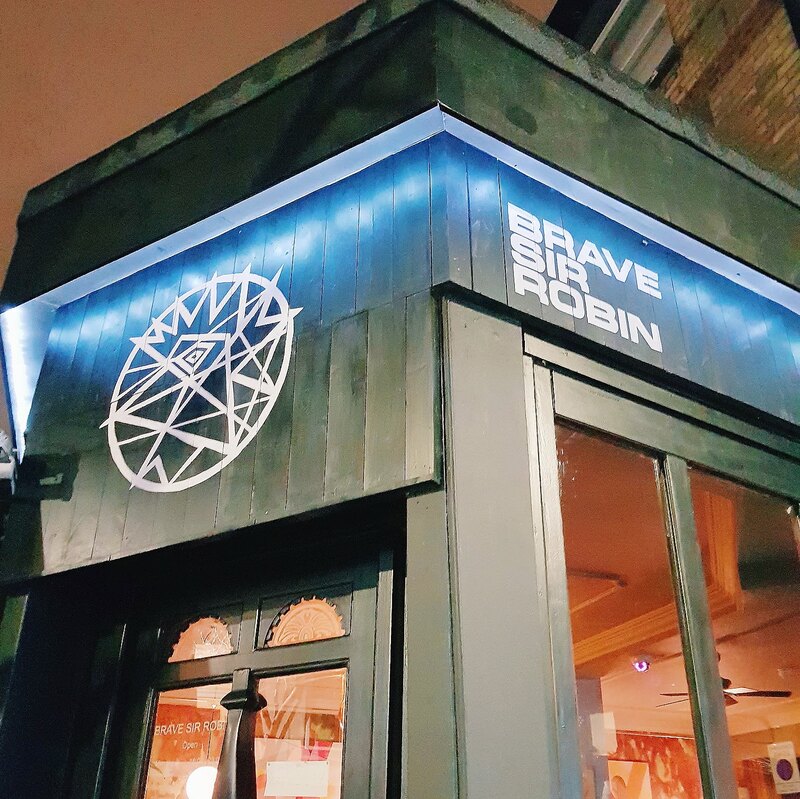 We went to try Food Factory Project at Brave Sir Robin recently, an edgy, cool pub in Crouch Hill – somewhere we definitely don’t spend enough time. 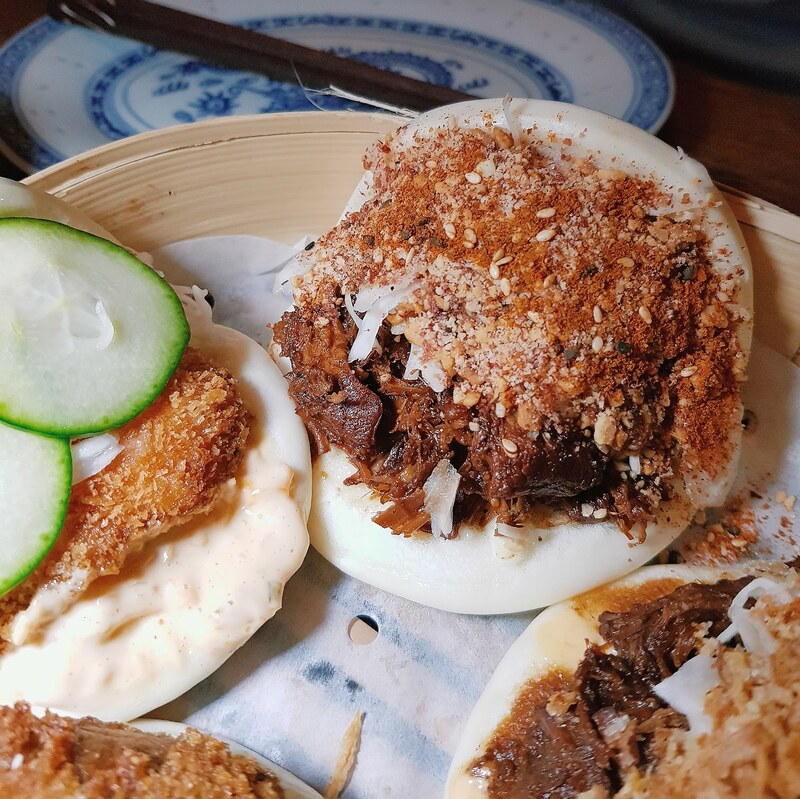 The bao are all fantastic in their own right – squidgy buns, stuffed full. The Panko Mushroom was a fantastic veggie bao option, packed with pickled cabbage, lime & jalapeño aioli, hoisin sauce, spring onions and sesame seeds. The mushroom was really tasty and crispy, and the whole concoction is a great mix of textures and flavours. We think there was perhaps a little too much aioli, overpowering the other ingredients a little, but I think that’s personal preference. It was still really good. Pulled pork bao is always a top seller and Food Factory Project said this one is too. A rich flavoured soy-braised pulled pork, with caramelised peanut crumble, pickled cabbage, spring onions, Japanese mayo, shichimi togarashi, it was definitely our favourite. It’s deep in that pulled pork flavour, and the peanuts add something fantastic. We loved it. Another tasty, tender meaty option, the Sriracha-braised pulled beef brisket bao, comes with pickled cabbage, crispy shallots, spring onions and sriracha mayo. Again, it’s packed with rich flavours and piled with tender meat. 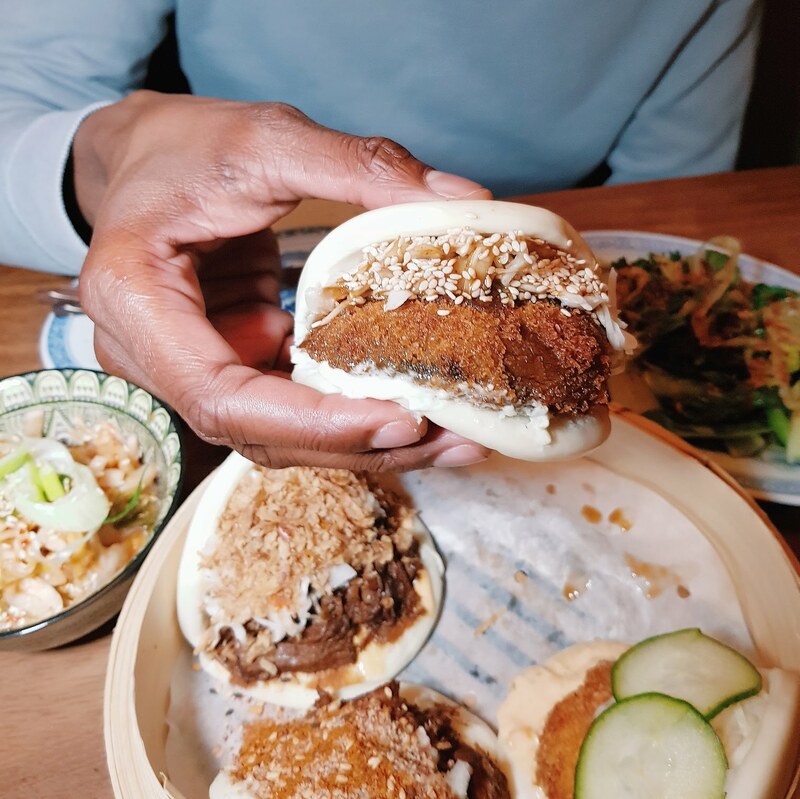 The Karage Salmon bao completes the four on offer, with fried miso-marinated salmon, kimchi mayo, pickled cabbage, pickled cucumber and spring onion. The salmon was soft inside and crispy on the out, a lot like the mushroom. The mix of pickle and miso add a tangy, tart, yet delicious finish to the bao. These really are massive. They come in portions of two normally, at £8 per portion which is really good. We could have easily made this a meal, perhaps with some of the fries we were eyeing up before we realised our eyes were being a little too big for our tummies. The ramen dishes were a great size, served in these stunning patterned dishes. The Green Curry Ramen, is excatly what is says on the tin. A Thai Green Curry number. And one fantastic one it is. The ramen noodles come in a chicken broth, with fried chicken thighs, soy marinated egg, Thai gremolata, coconut cream, steamed bok choi, fried shallots & baby spinach. 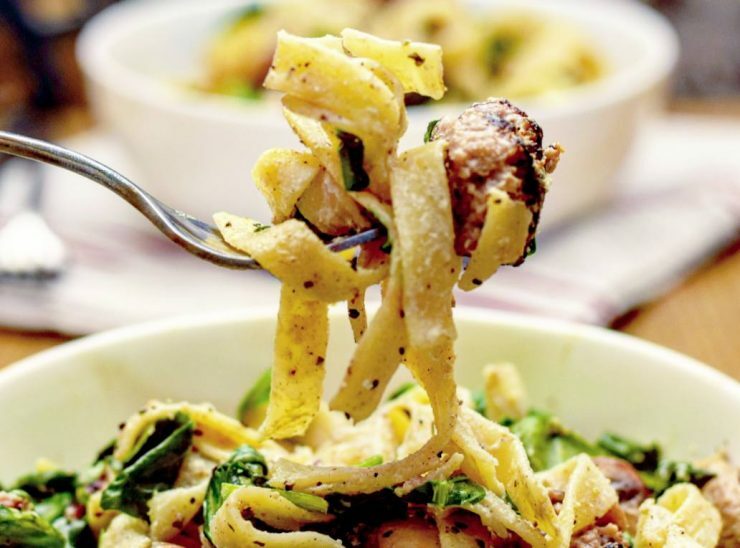 It’s a great mix of ingredients – plenty of green, meat and textures. The thai green flavour shining through each bite. We loved the egg especially and what it added to the dish, both for its texture and flavour. The Mushroom Soy Tofu Ramen was a seriously tasty veggie option with plenty of mushroom – I didn’t even miss the meaty broth! This time ramen noodles are served in a mushroom & black garlic broth, with a mix of braised & fried mushrooms, tofu, soy marinated egg, ginger & garlic sofrito, baby spinach and furikake. The egg deserves another mention, because it really added something to this dish too – although could have easily been missed out for a vegan option. We loved the mix of mushrooms, and the tofu was pretty good! We did add a little homemade chilli oil from Food Factory Project too which added a fantastic kick! I do enjoy a bit of heat! You can’t have an asian meal without having some kimchi. Perhaps a couple of other sides too. Well,maybe if you’d not had bao to start. The homemade pickled cabbage (kimchi), was served shredded, cold and not overpowering with the pickle. It was tasty to pick at, or even eat with the ramen! The steamed greens was another great choice for a side. I’m a big fan of ordering extra greens as I never feel there’s enough veg on dishes. A mix of wilted kale, bok choi, szechuan peppercorn & garlic chilli oil, crispy shallots and spring onions, it went beautifully with everything. And easily satisfied my greens craving. The menu does actually have a desert option too, for a sweet bao. But as I’m sure you can expect, there wasn’t an ounce of space. I know I mentioned a good pint, back at the start of this article. The Brave Sir Robin sure does not disappoint. They have numerous craft beers from cask or keg, as well as cocktails and more (all the standard pub drinks). We loved that the pub offers most of the craft beers as a half pint, ⅔ pint or full pint. They gave a fab recommendation for a lager – The Flansburger Lager (£3.30 ⅔ pint) from Germany which was refreshing, not too hoppy and really tasty. The Sansford Orchards Devon Mist Cloudy Cider (£4.70 pint) was a fantastic, classic cider. Served warm, it was almost liked a spiced apple juice. Delicious alongside the slightly spicy cuisine. We had a fab evening. 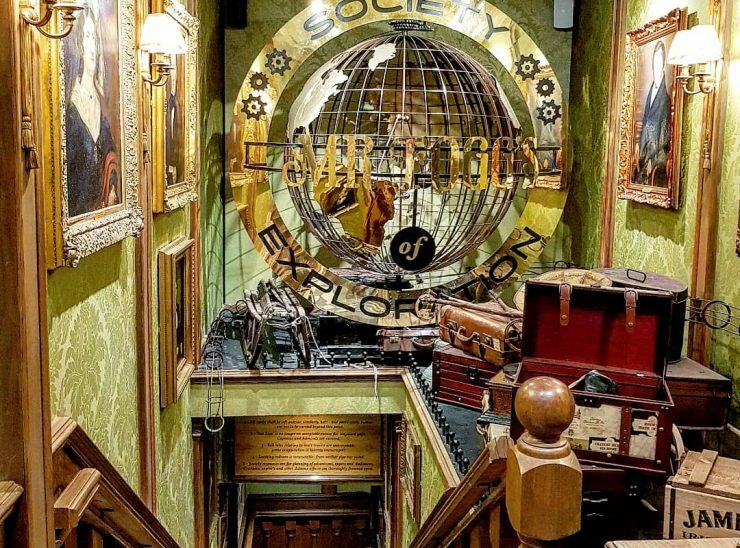 It’s not just a awesome place to soak up the atmosphere, and enjoy some tasty food either, the service from Food Factory Project was super friendly and attentive, making it a fab experience all round. Price: It is so affordable. 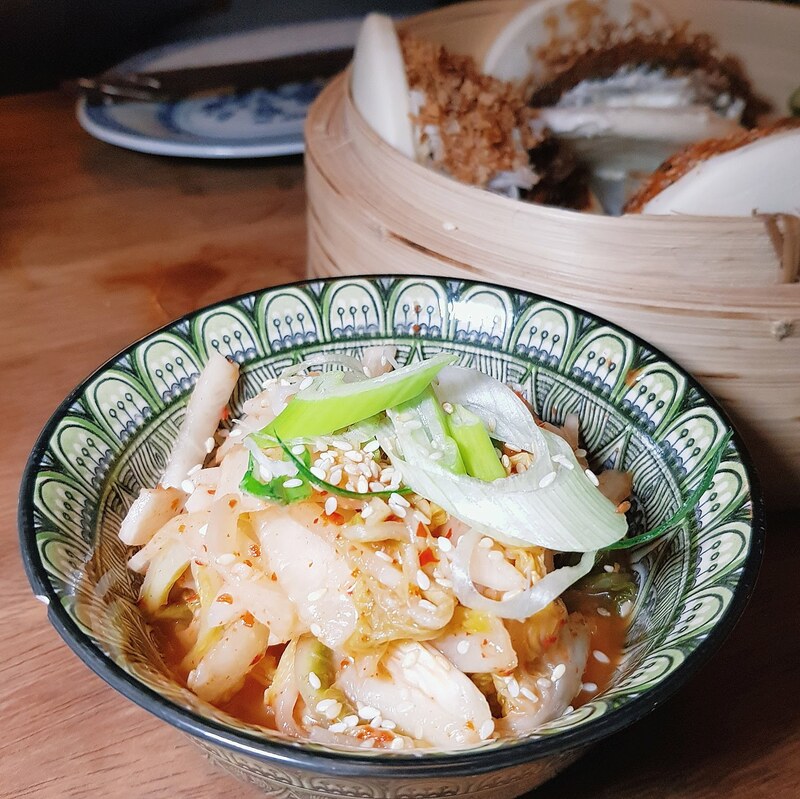 The ramen dishes are £10/£12, and bao are two for £8. Food: Fantastic Asian Cuisine by Food Factory Project. 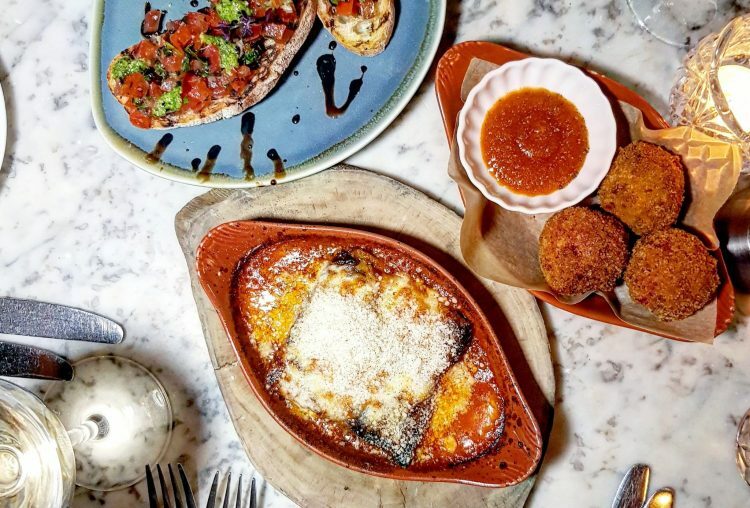 Generous portions, fab quality and so much flavour! 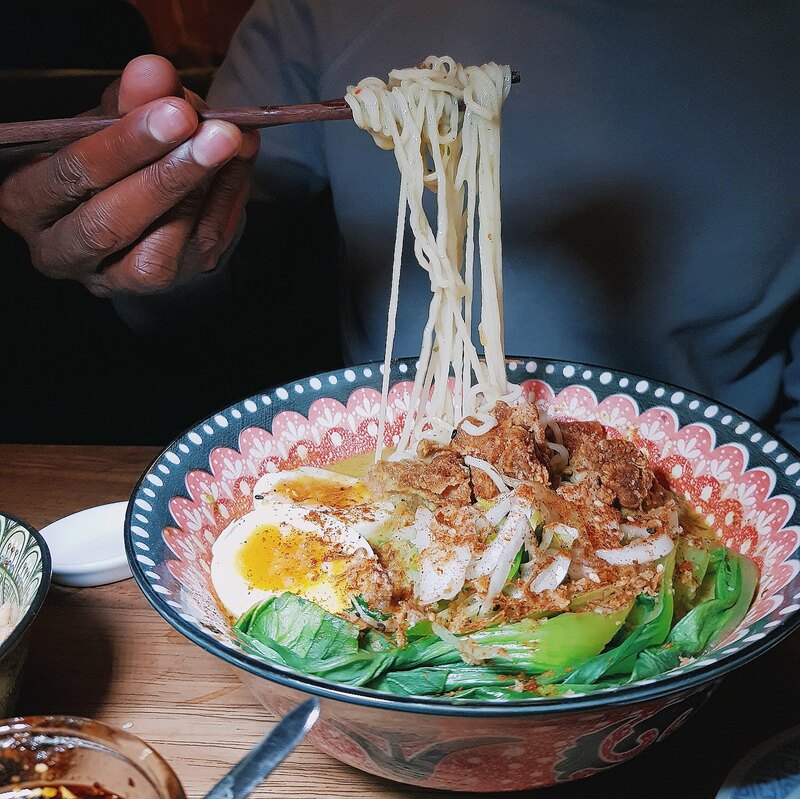 The bao and ramen dishes are well worth venturing to Crouch Hill for! Drinks: Plenty of choice including a whole array of craft beers from keg or cask! 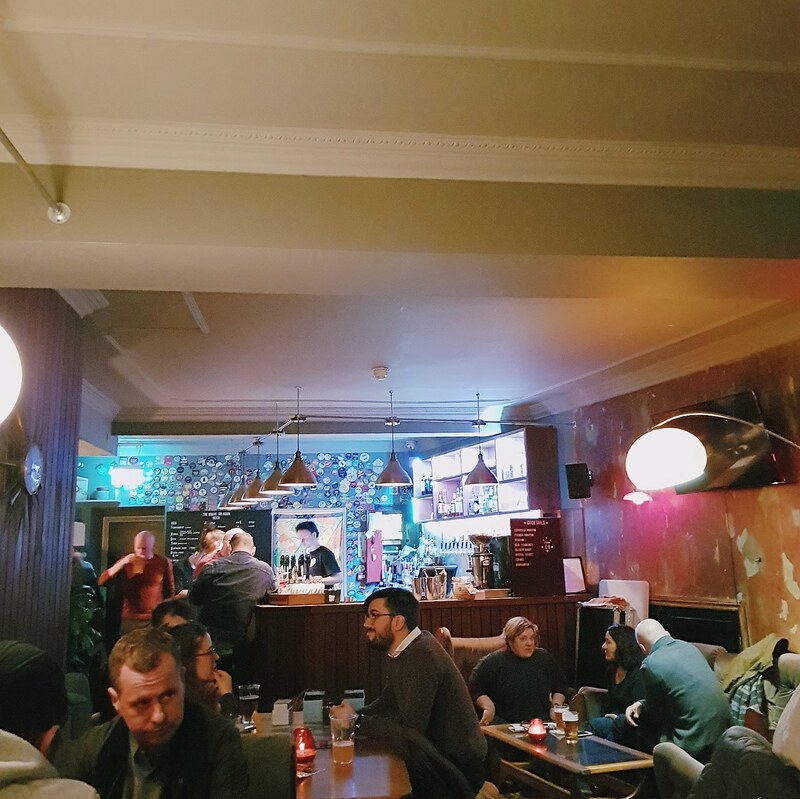 Atmosphere: Cool and edgy pub vibes. Great, friendly service. Wait: It was pretty busy on the Thursday evening when we visited. Do try and book ahead if possible to avoid disappointment. Have you tried any fab pub residencies recently? 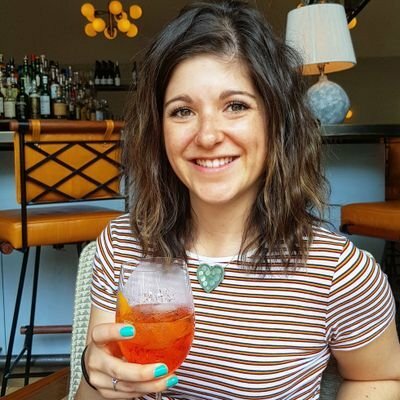 *I was invited along to review Food Factory Project as part of the East London Girl team. All views my own. 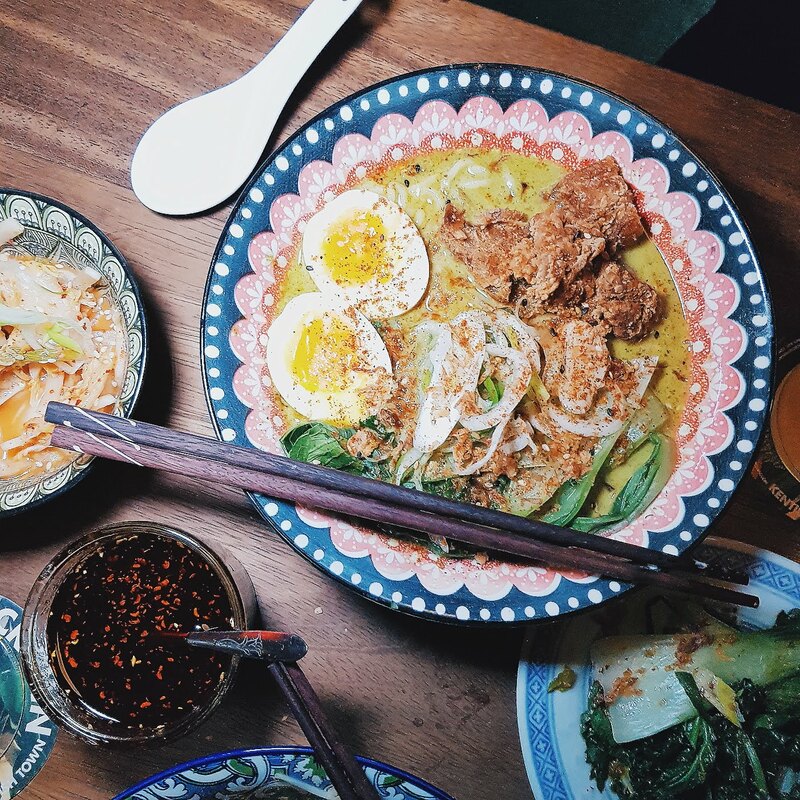 Those Bao sound delicious – and I love the mix of thai curry and ramen, I may have to try replicating that at home!